I've been in two car accidents this year, neither were my fault, but it made me look at our car, car safety and the possibility of buying a new one in the near future. Unfortunately, neither accident was enough to write my car off, but thankfully no one was seriously injured or anything either. The car I own is one I wanted for a long time because it is safe and reliable, two very important things when it comes to a car. So how do you decide what car is right for you? 1.) What do you need your car for? 2.) What is your budget? How much money can you afford and do you want to spend on a car? Just because a bank will lend you $50,000 for a new car, doesn't mean you can easily afford that, or that it is a good idea. If you don't have cash, look at ways to make some money quickly to decrease the amount you will be borrowing. When looking at the weekly loan repayments, use an online calculator to see how much an interest rate rise would increase the payments to ensure your budget wouldn't be strained with an increase. 3.) Which models fit your budget? Now you can look at models that fit both your budget and needs. If you aren't familiar with cars ask friends and family, look online and take note when you are driving of models you think would suit your needs. 4.) How safe is the car? Check each model you are interested in and their safety ratings. Does the car reach high safety standards? Cars with 5 star ratings such as the Volkswagon Jetta are ideal. There have been a few cars I have loved and even test drove, only to discover they're safety standards were lower than similar models. To me, safety is the most important aspect of any car I drive. By now you should have narrowed your options down to a few models, knowing they are safe, fit your budget and suit your needs, but are they reliable? Are there any common faults or issues? How expensive are they to repair? Get online and search for information on the car you want to buy. Using the Jetta as an example, search for things like "2014 Volkswagon Jetta reviews", "2014 Volkswagon Jetta common problems", "2014 Volkswagon Jetta faults". Anything that will give you an idea of what issues the car might have is good to search. Read reviews, forums, search social media and don't rely on whatever the company is writing about the car. Search for real reviews. 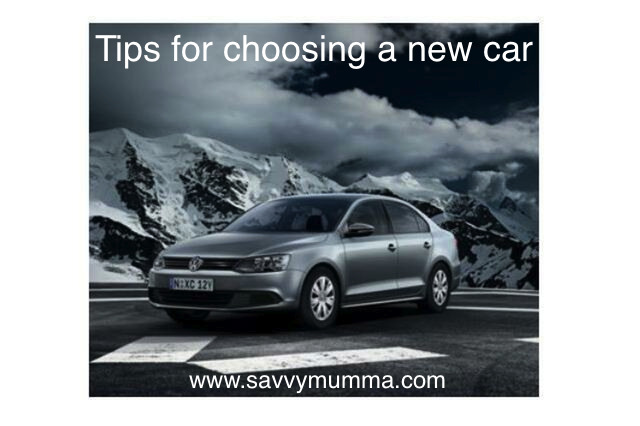 The above steps will help narrow down what type of car, but you still need to drive it to know if it suits you. While cars may be similar there are little things that make each car unique, some are easier to drive than others, your body shape and height is different so blind spots and comfort will vary for you. Don't just drive the car around the block. Take it for a proper test drive at various speeds. If you have friends or family with the model car you are looking at, ask if you can drive theirs. Paying cash gives you more negotiating power, reduces the overall cost of the car and hurts more. Ok, maybe the last one is just me, but I find handing over my own money, seeing my own bank account go down, is a lot harder than using money from a loan. Saving as much cash as you can for the car purchase is the best way to buy. Cars depreciate in value, so only buy what you can afford. Do you have a method you use to determine which car is best for you?